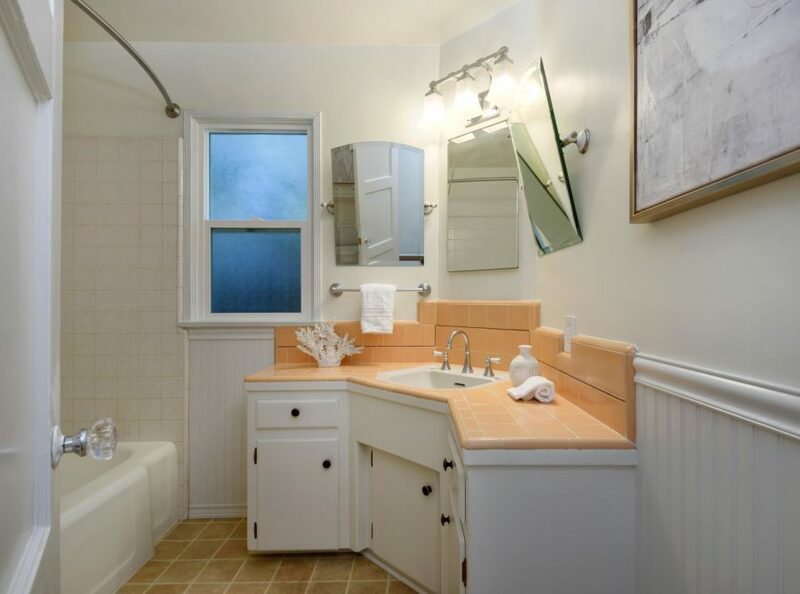 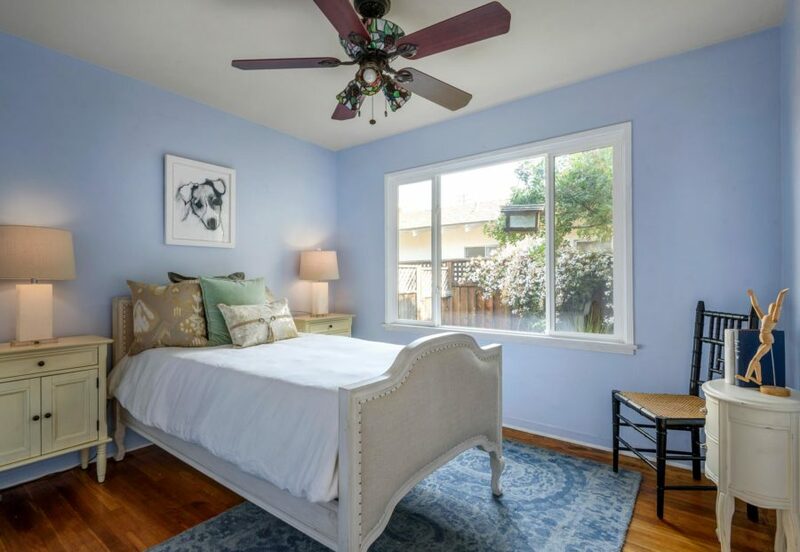 An extraordinary offering just a few blocks from Cottage Hospital. 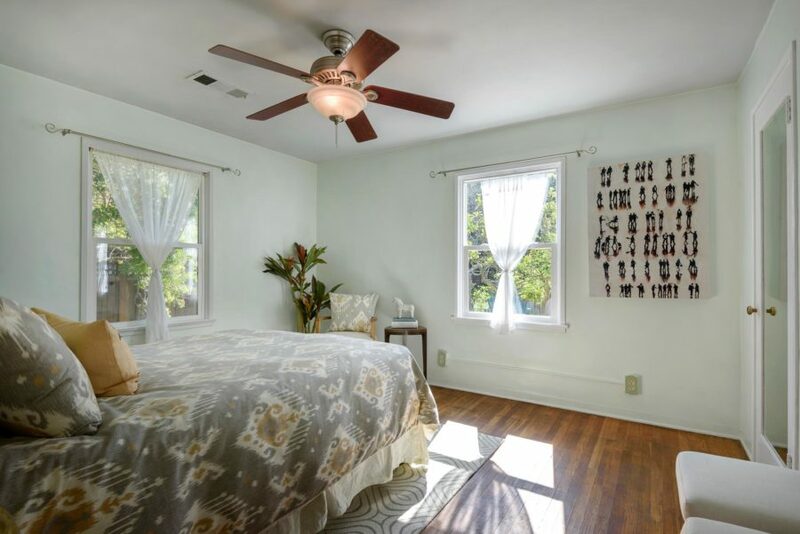 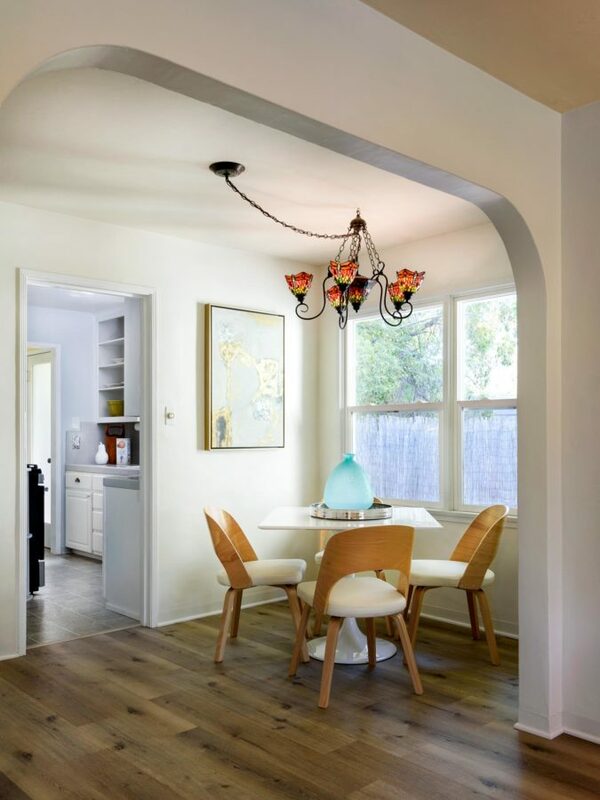 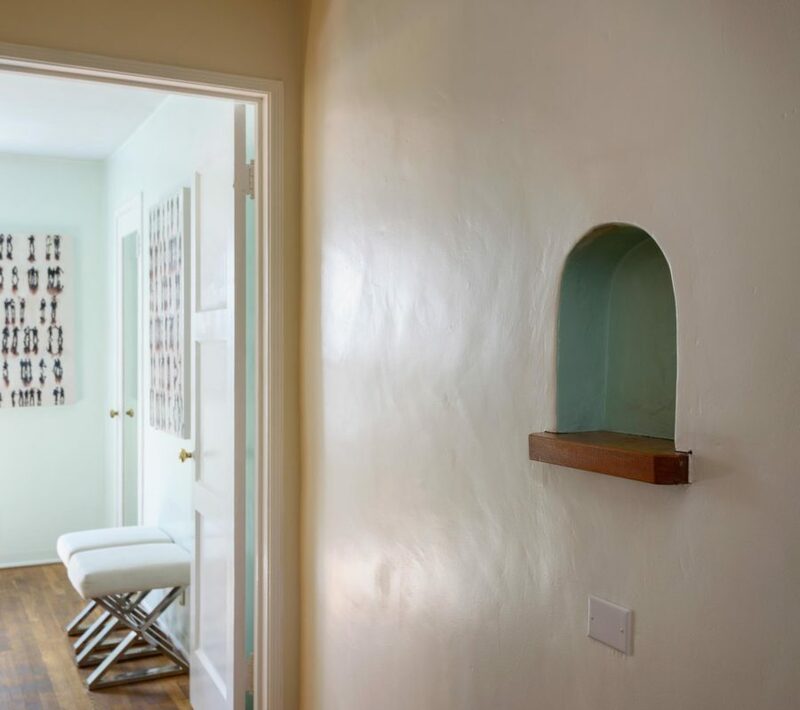 This 2 bedroom, 1 bathroom single level home has been lovingly transformed yet still retains its charm evidenced by coved archways, a large living room picture window, wood floors, doors, vintage tile & nooks. 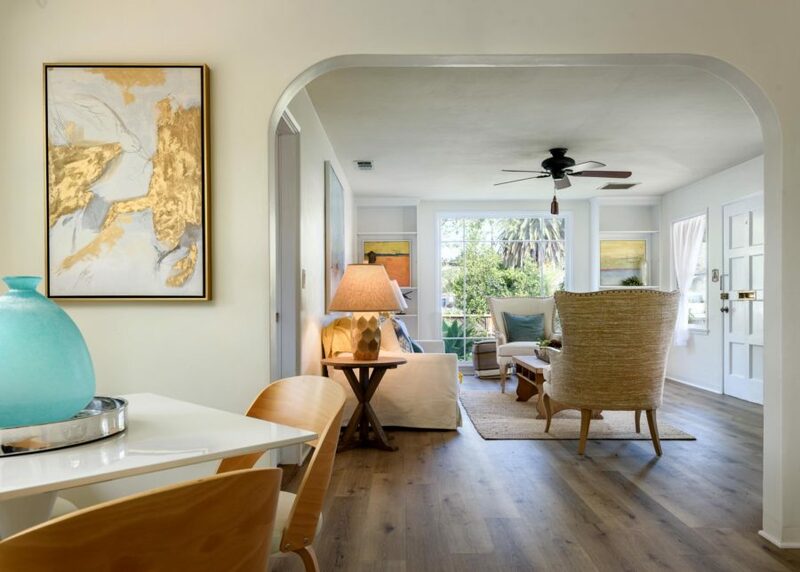 New modern faux-wood flooring just installed in living room! 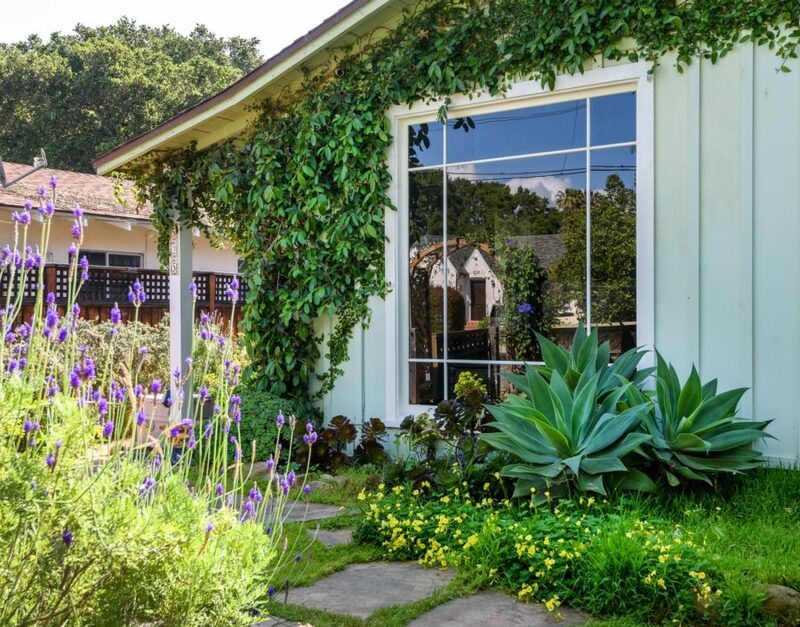 Dual paned windows throughout this darling sanctuary, looking out on lovely gardens, flagstone and brick patios surrounding the home. 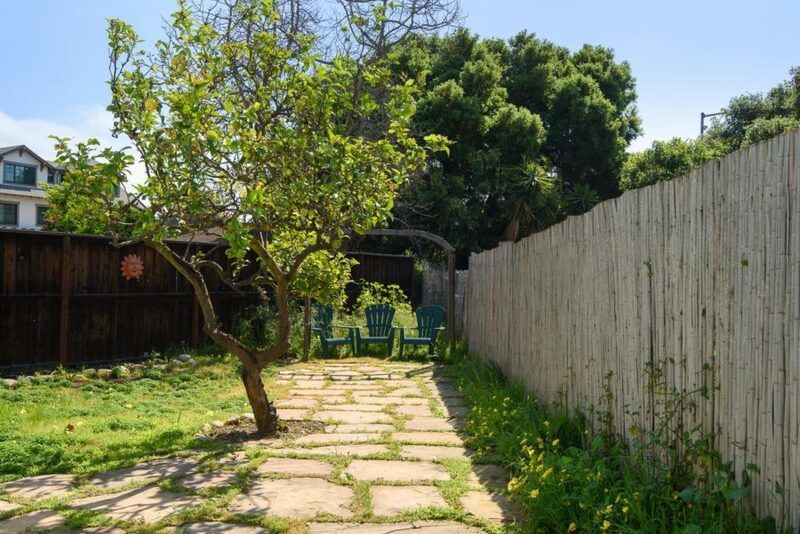 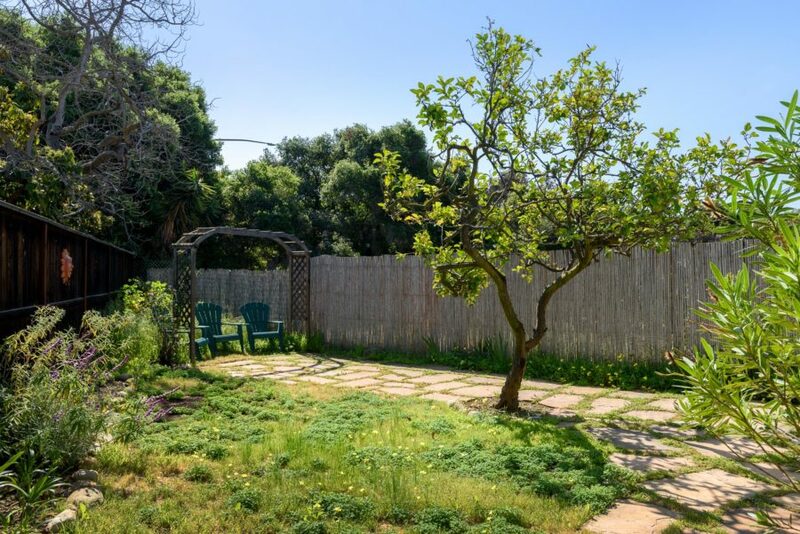 Citrus tree in the fully fenced backyard and room for more gardening! 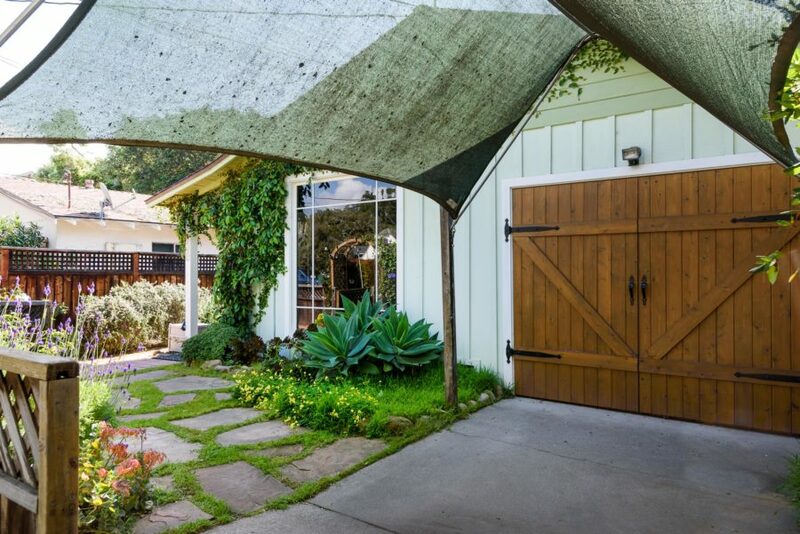 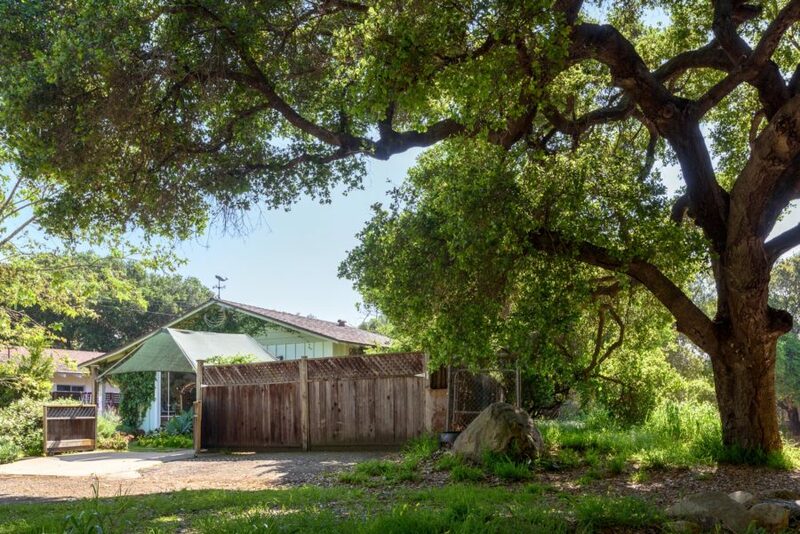 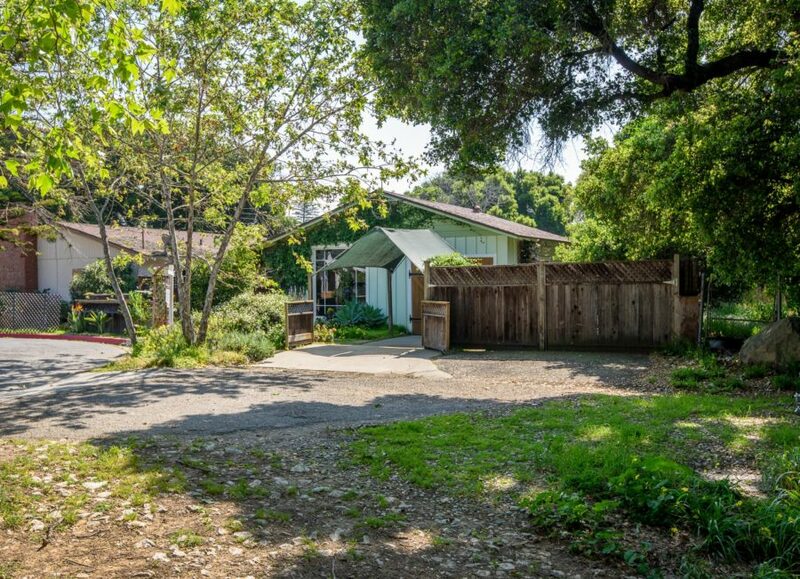 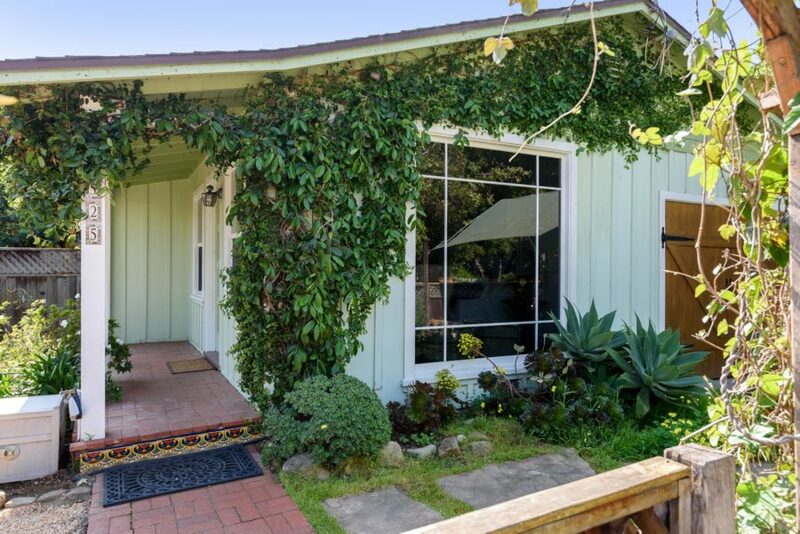 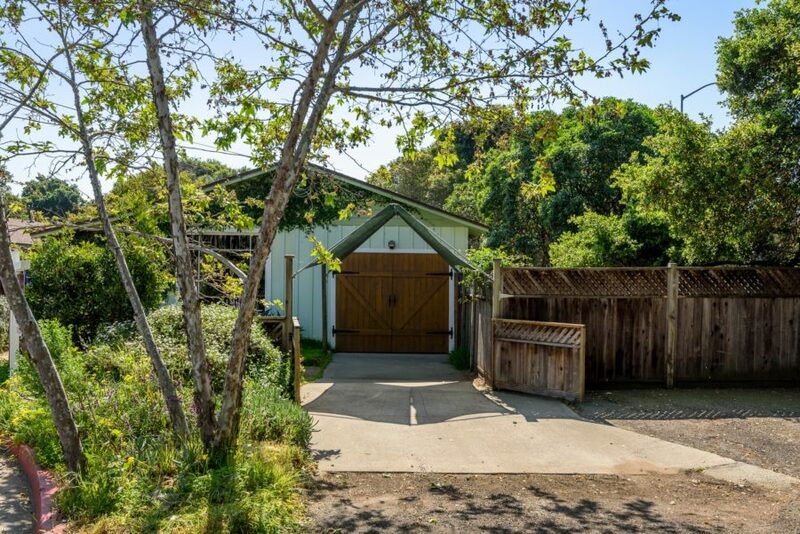 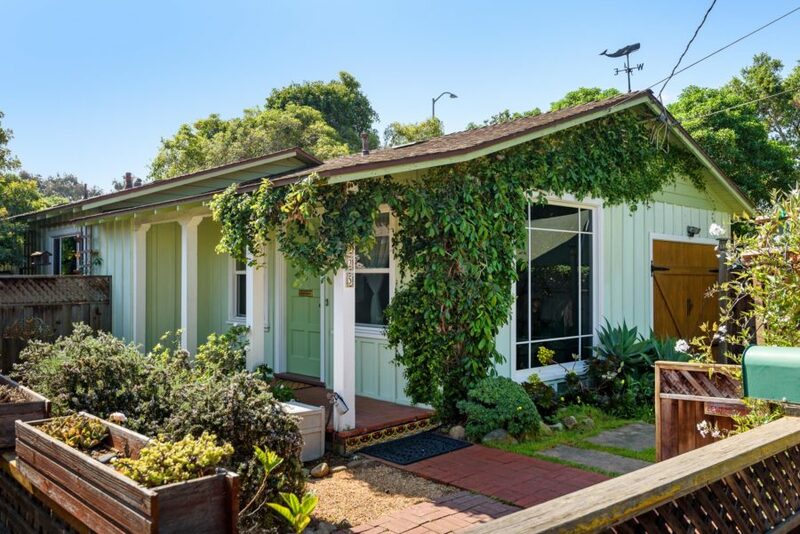 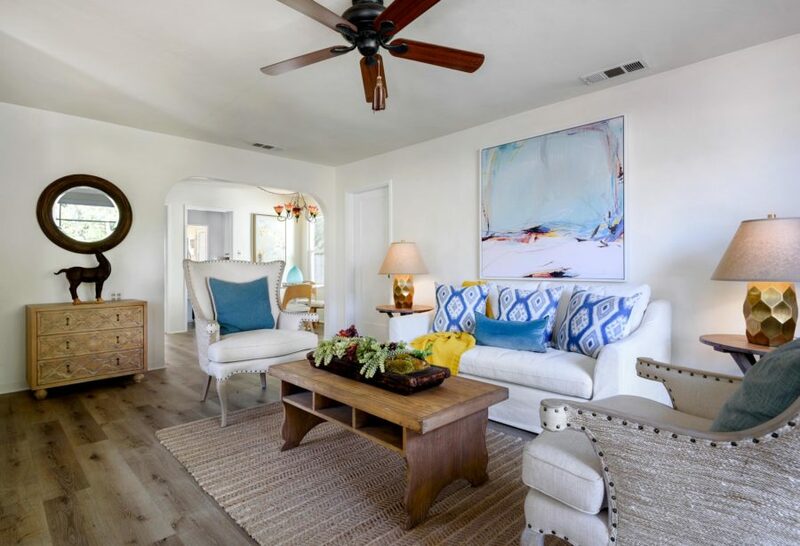 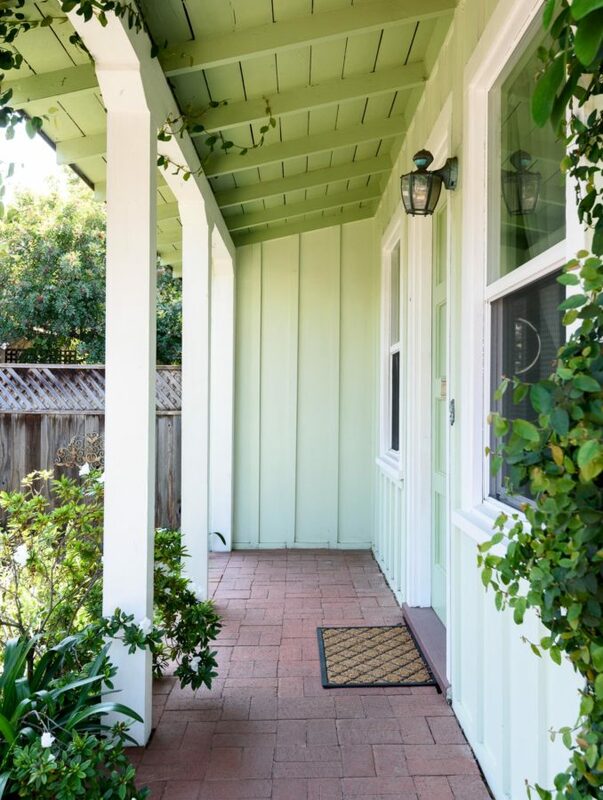 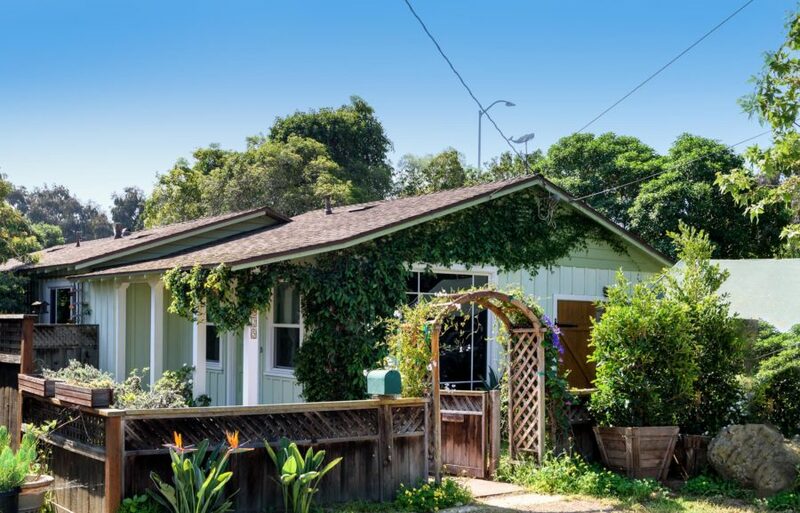 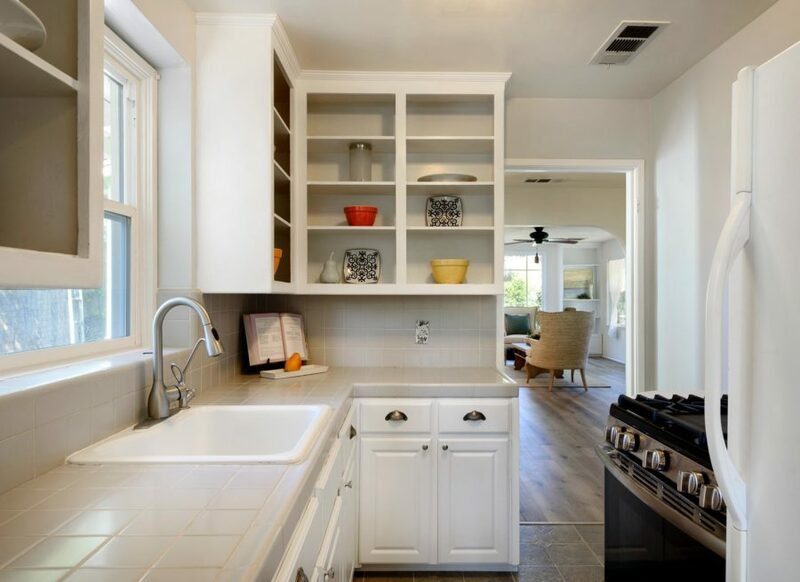 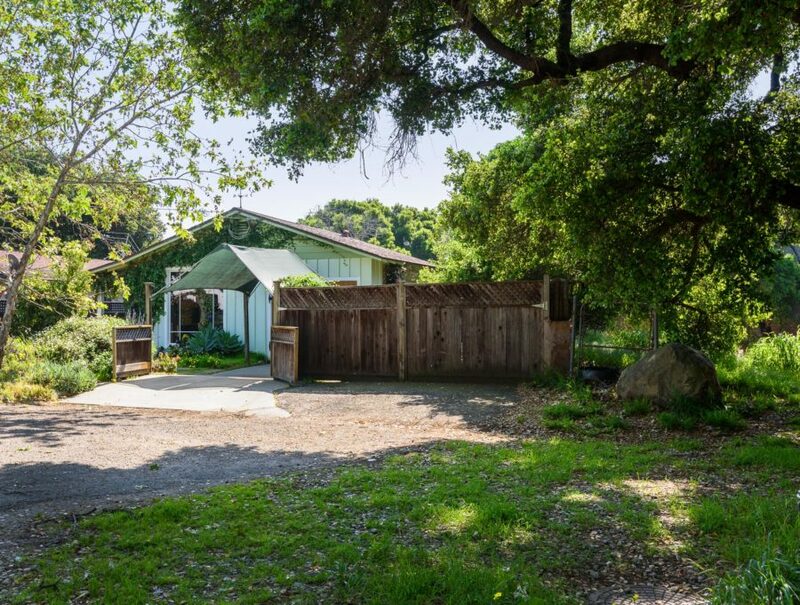 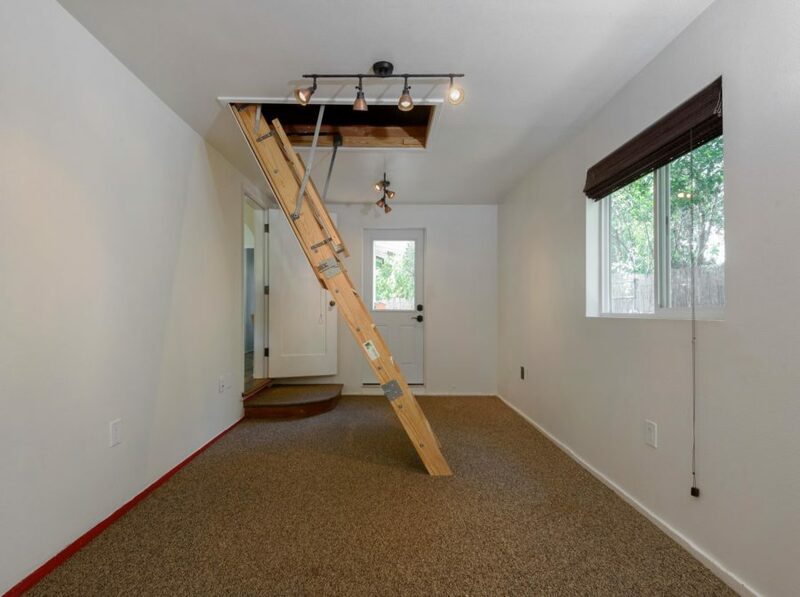 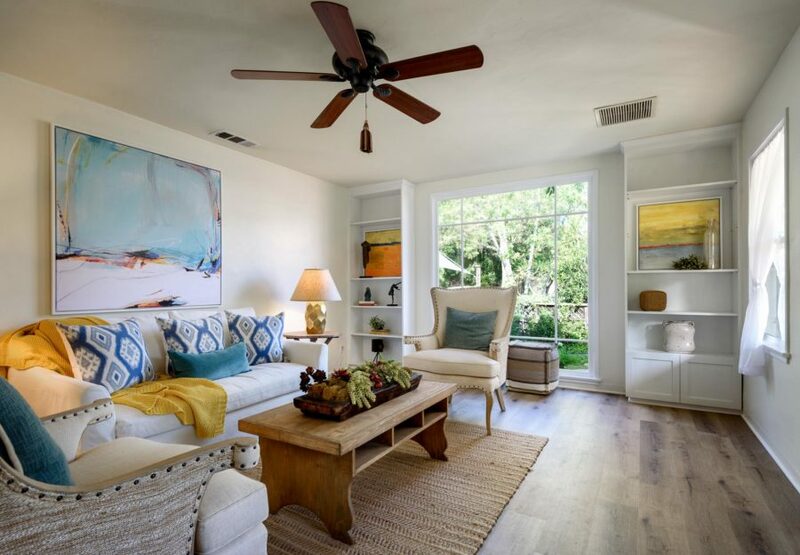 1 car attached garage with ample attic space, plus a spacious & gated open area for a boat or RV, plus parking for 2+ more – a rare find in downtown Santa Barbara! 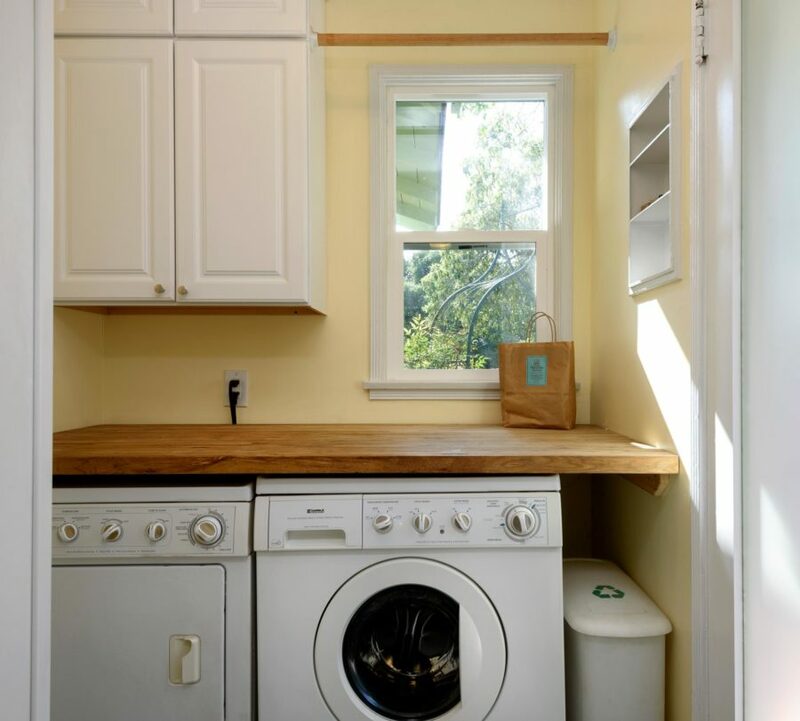 Separate laundry room is off of the cozy kitchen. 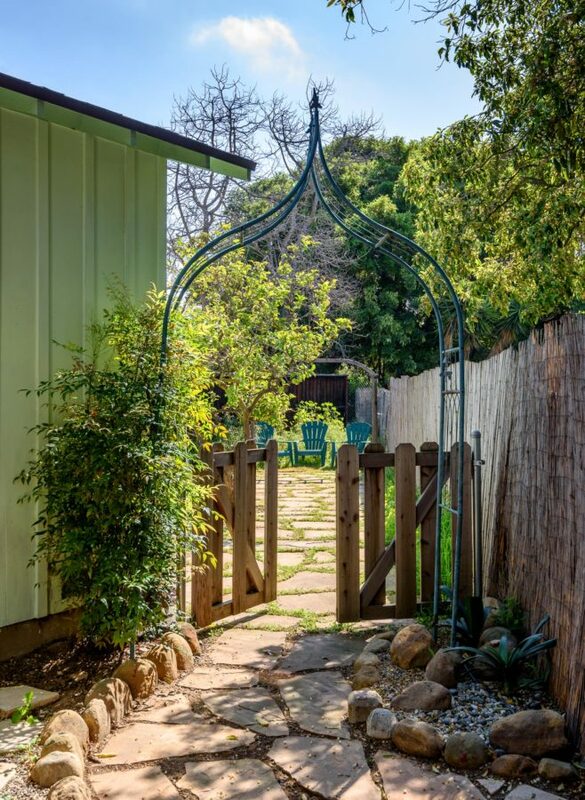 Cul de sac location provides amazing privacy!